Learn about the Wreck of the Westmoreland TONIGHT! Details surrounding the history, legend and exciting 2010 discovery of one of the Great Lakes’ most sought-after shipwrecks will be disclosed during the Empire Area Heritage Group’s Dec. 2, free public program at the Empire Township Hall TONIGHT at 7 PM. 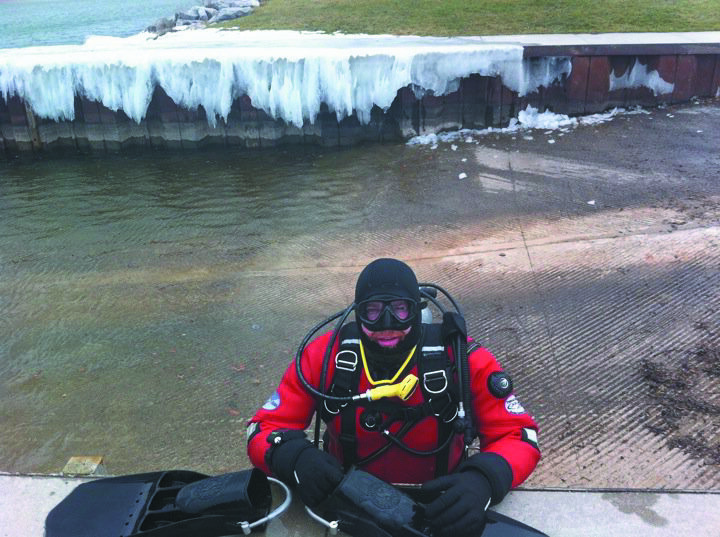 Ross Richardson, a Lake Ann diver and a 10-year former board member of the Michigan Shipwreck Research Associates, will share his extensive research on and incredible discovery of the Westmoreland. The 160-ft. passenger steamer sank more than 150 years ago in the icy waters off what is known now as the Sleeping Bear Dunes National Lakeshore. The ship, with 34 passengers and crew, was rumored to have been carrying whiskey and gold coins when she went down in December, 1854 – a tale that launched over a dozen expeditions in the ensuing years to find her and her treasures. Only 17 people were saved during the tragic event. Richardson solved the mystery of the ship’s whereabouts using history books, old newspapers and what he calls “a little bit of hard work.” He found the wreck in July, 2010 – sitting upright, bow and arches intact – in an uncharted hole. Read more about it and see photos in this Leelanau.com article on the Westmoreland’s discovery! https://i1.wp.com/leelanau.com/wp-content/uploads/2011/12/Shipwreck-1.jpg?fit=720%2C537&ssl=1 537 720 leelanau.com https://leelanau.com/wp-content/uploads/2014/11/leelanaudotcom.png leelanau.com2011-12-02 09:18:222011-12-02 09:18:22Learn about the Wreck of the Westmoreland TONIGHT!